*Nars Night palette : I still remember my blue palette from Loreal and how someone made fun of me because according to him — my blue eyeshadow made me look like a saleslady (who wears blue for an eyeshadow). Now challenge is accepted : to make a better look using a blue/grey and a green/moss green eyeshadow. A look that is definitely unusual but will wake my curiosity and enhance my makeup skills. 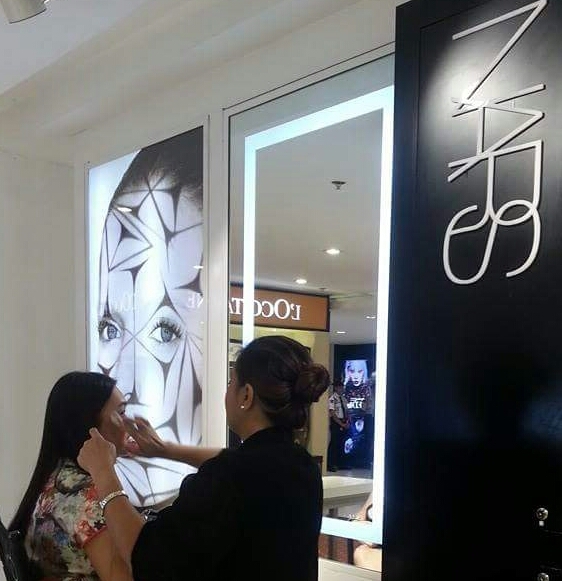 Nars is one of my favorite makeup brands now; but they have a downside as well. Like their blush-on doesn’t last that long so I still prefer Laura’s. Their bronzer isn’t that dark and matte as compared to Laura’s. Their highlighter is not that luminous and long lasting plus their containers don’t have a good quality since they’re only made of clay. Now, NARS is starting to make powder with refills; and for the first time, they used a sturdy container for their new compacts. Their downside, just like Laura, is that they don’t have enough stocks of their makeups. If you really like a certain product from them, you can either hoard or wait until you have no choice but to buy another brand. How about you? What is your favorite from Nars? Next Where Do Broken Hearts Go?